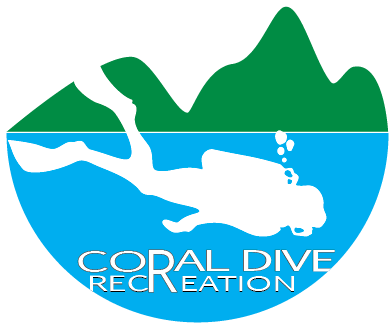 Getting ready for an exotic vacation and want only lightweight gear to beat the cost of excess baggage costs? 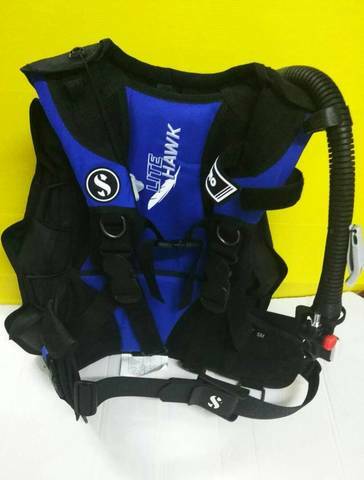 Well Scubapro has just what you're looking for in a BCD to meet those needs. 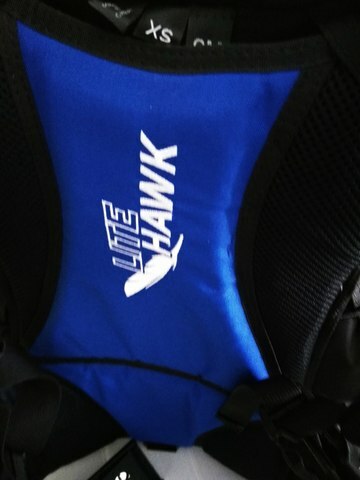 A robust and comfortable back flotation jacket that integrates numerous performance features to deliver outstanding comfort and easy handling. 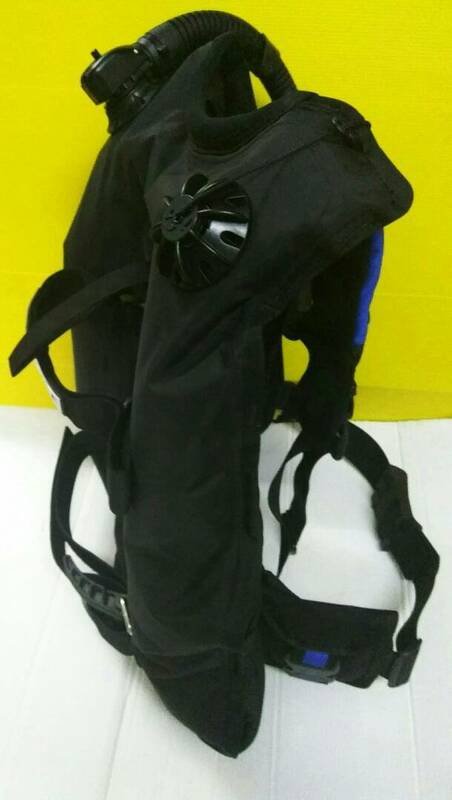 Back flotation technology positions air bladder in the back, providing exceptional freedom of movement around chest and shoulders.3-dump deflation system enables divers to dump air from a variety of underwater positions. 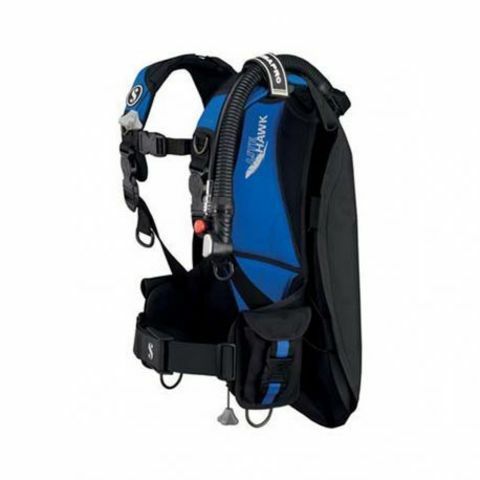 BCD has streamlined air cell technology with automatic volume control of air cell through compression straps. Rotating Quick Release shoulder buckles and adjustable shoulder straps improve fit by following the diver's movements. 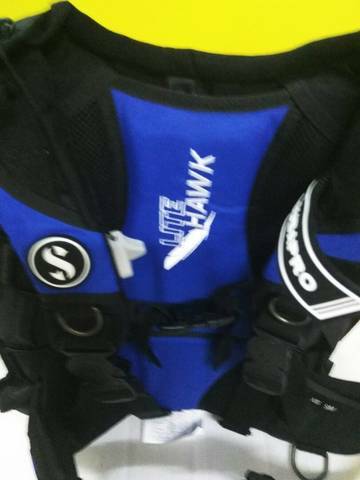 Soft neoprene neck roll and padded back pad provide a skin-friendly padding for significantly more comfort. Two movable accessory pockets for storage and strategically placed plastic D-rings for attachment points allow you to bring all the extras that make diving comfortable and fun. The Litehawk back-floatation BCs incorporate an array of features which make them a truly complete package for divers who prefer a more streamlined profile. Low-drag, low profile progressively-shaped air cell on a light back flotation BC, with elastic cords automatically control the size and keep the air cell streamlined when partially inflated. The BC air cell is constructed in durable 1000-denier nylon with interior urethane laminate and radio frequency (RF) welded seams for airtight integrity and for long life wear. Adjustable belt-style waist strap with nylon lightweight buckle and its perfect for travel weighing just 5.87lbs to 6.1lbs (2.66kg to 2.76kg) depending on size. All sizes provide 56lbs (25.5kg) of lift. To control your buoyancy the Litehawk comes with a large shoulder overpressure relief valve with manual pull dump cord and Scubapro's Balanced Power Inflator Mechanism. Scubapro's Balanced Power Inflator provides a high inflation speed, especially at depth. Inflator has different shaped inflation and purge buttons for easy use even in extremely low light or murky water conditions. 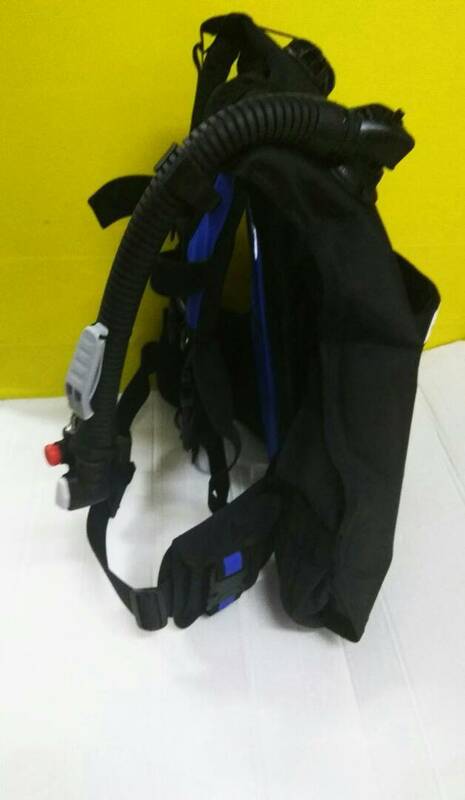 Inflator is also equipped with a rapid pull dump mechanism with cable pull for easy deflation of the air bladder. Included with the inflator is a 3/8" threaded low pressure hose for attachment to the first stage regulator. 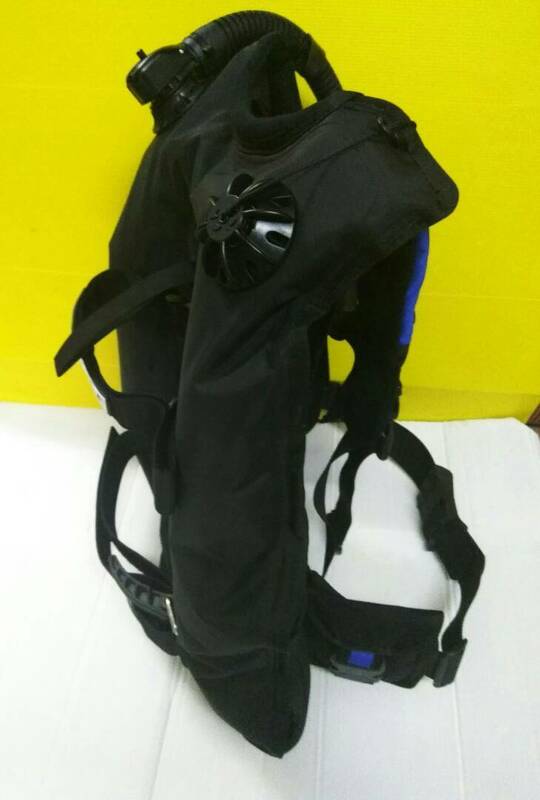 BCD is black in color, comes with an owner's manual and is covered by a 24 month limited warranty. 42" MAX MAX 52" MAX 58"